Microbubbles and microgels have been widely utilized for both diagnostic and therapeutic ultrasound applications. Owing to their nonlinear characteristics of harmonic responses, coalescence, and cavitation, these microparticles have enabled contrast-enhanced harmonic vascular imaging, spatiotemporal drug-delivery, and enhanced thrombolysis efficiency. Despite their advantages, a crucial limitation of these microbubble-aided ultrasound techniques is the lack of the suitable custom ultrasound transducers. The main theme of this dissertation is the development of new small-aperture ultrasound transducers focusing on the efficient acoustic excitation for microbubbles/gels and associated data acquisition capability. Three different types of the ultrasound transducers were aimed to be developed for both diagnostic and therapeutic applications: 1) stacked-type, dual-frequency, 1-3 piezoelectric composite transducers for intracavitary acoustic angiography, 2) Forward-looking, low-frequency, intravascular ultrasound transducer for microbubble-mediated sonothrombolysis, 3) Laser-generated-focused-ultrasound transducer for microbubble-mediated sonothrombolysis and spatiotemporal drug delivery. Prototype transducers were designed, fabricated, acoustically characterized, and the performance for each application was tested in vitro. The results indicated that the new miniaturized prototype transducers and design guidelines provided in this study can be useful for developing versatile clinical devices for advanced, ultrasound-based diagnosis and treatment for blood vessels and tumors. Jinwook Kim received his B.S. and M. S. degrees in mechanical engineering from Kyungpook National Univeristy in 2010 and 2012, respectively, working on design and optimization of underwater transducers. 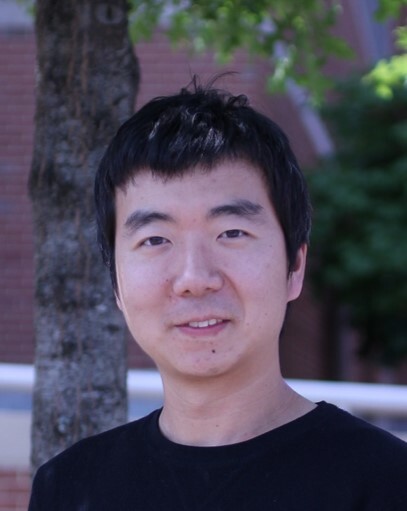 In 2013, he joined Dr. Xiaoning Jiang’s Micro/Nano Engineering Lab at North Carolina State University, working on the design and fabrication of ultrasound transducers for diagnosis and noninvasive therapy. His broad research interests involve laser-generated ultrasound, ultrasound-mediated therapies, and bio-sensors.